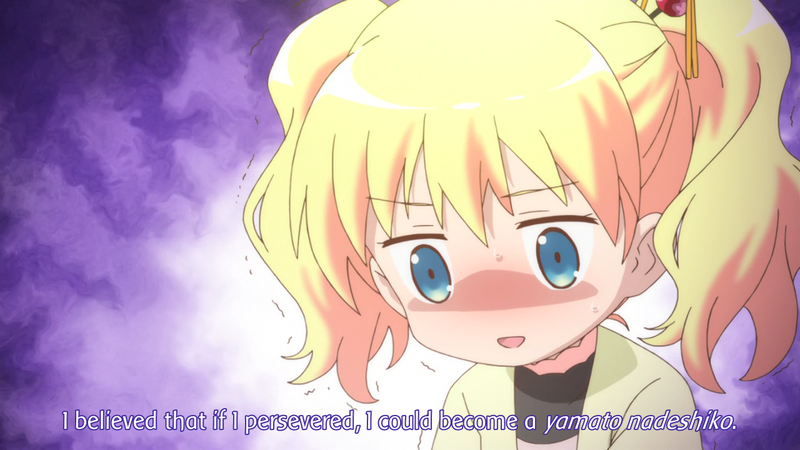 Kin-iro Mosaic – 01 | Mezashite! This image is kind of representative of why we were late. Due to travel- and plane-crash-related reasons (none of which resulted in permanent bodily harm in any of our members), we became late. 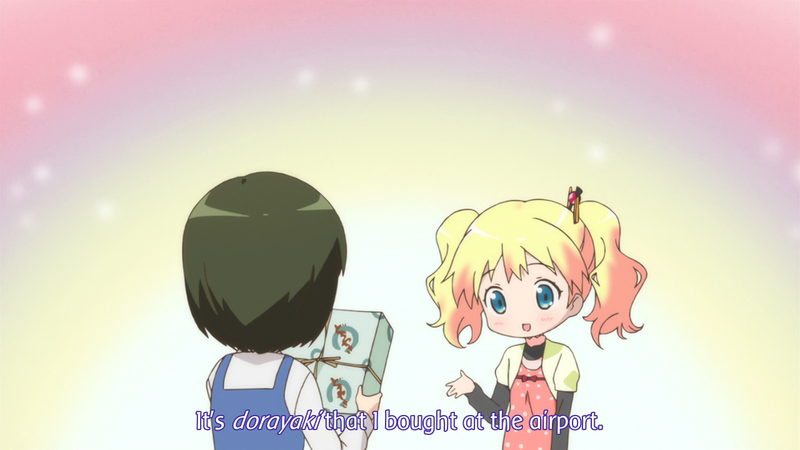 The fact that the audio and video weren’t synced correctly when this episode aired in Japan didn’t help, either. We ended up having to time it twice, which was annoying, but not as bad as a plane crashing. Here’s the episode. Though there weren’t very many in the first episode, this show promises to require lots of TL notes (none of which we are normally willing to put in the episode itself), and I’ll include them in the release posts. TL notes after the break. Okay, most of these don’t actually merit a TL note. I just kind of wanted to have a lot of them. 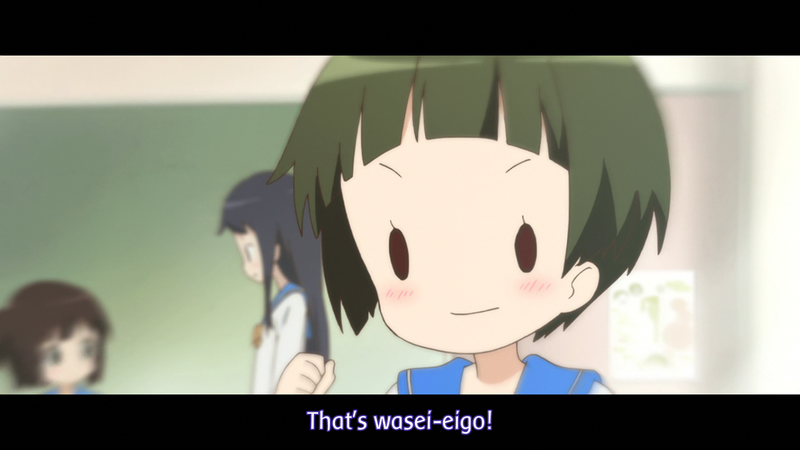 Wasei-eigo words are Japanese terms derived from English and other western languages. The one she uses is katsupan (カツパン), which means “(pork) cutlet bread”. 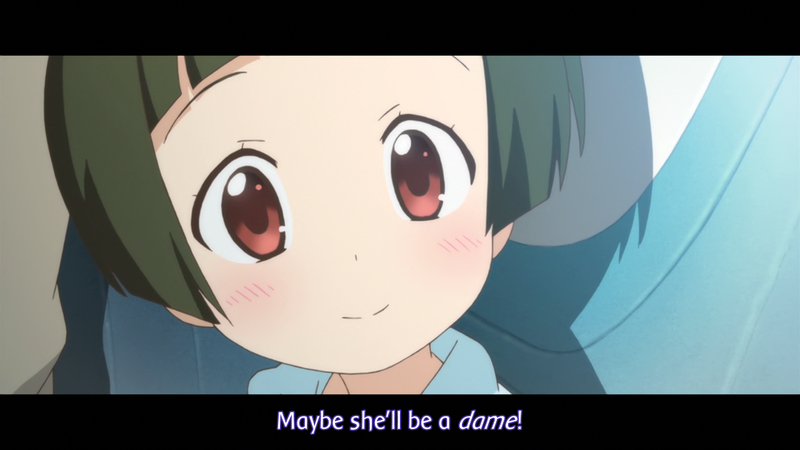 This is “dame”, as in Notre Dame. I left it in Japanese (sort of) because I was lazy. 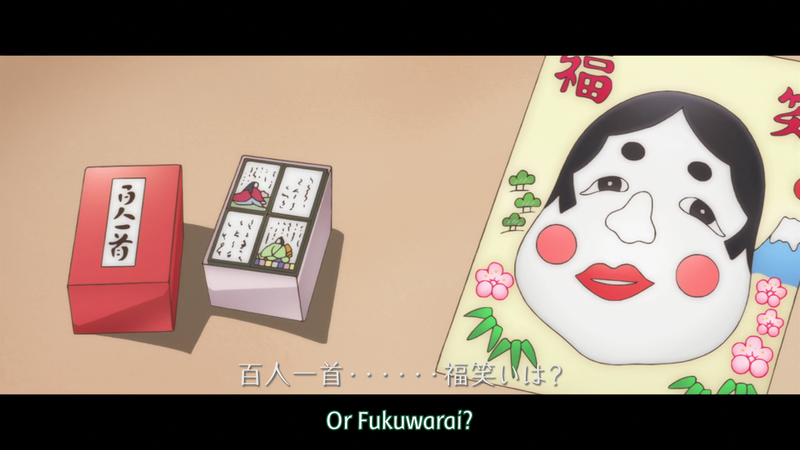 It means uh… like, a fancy rich-ish western ojou-sama dolly girl or something. I don’t know why I’m leaving a TL note for this one. 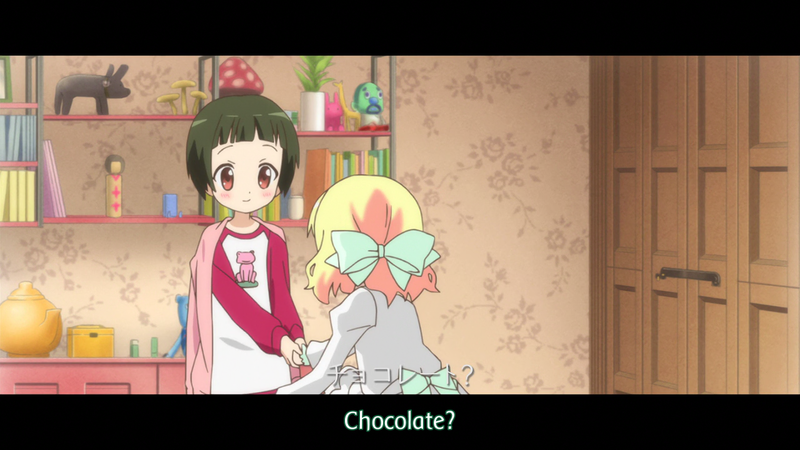 You can clearly hear that the beginning of Shinobu’s last sentence sounded kind of like “chocolate”. Airmail is snail mail sent through the air. Seriously why am I even TL noting this. 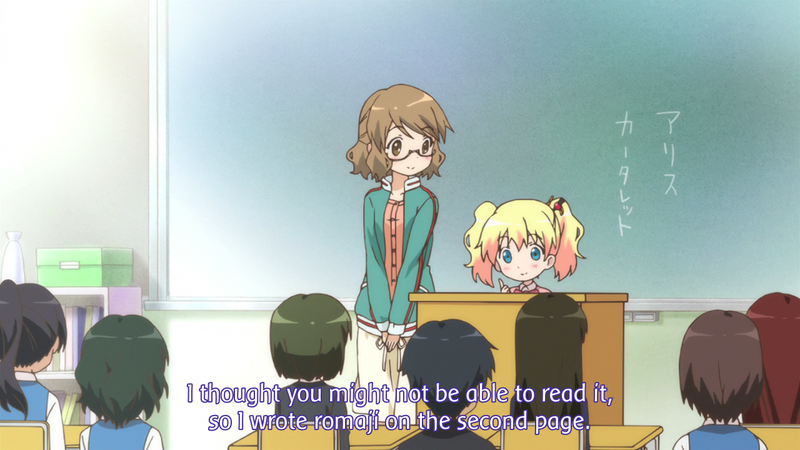 Romaji is Japanese written in the Latin alphabet. 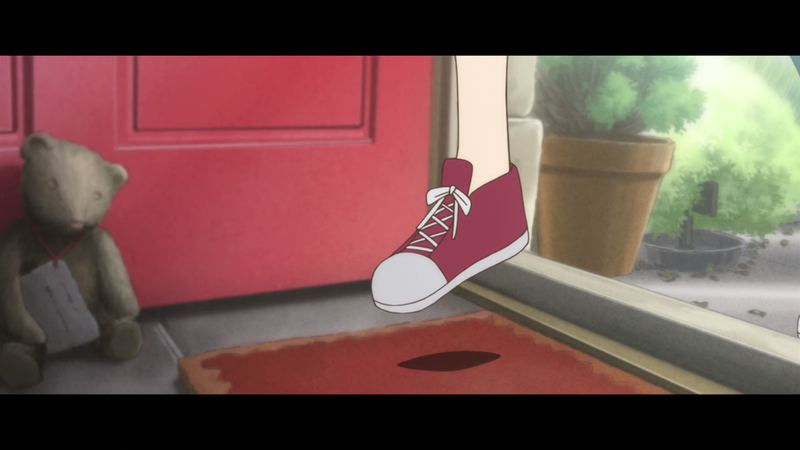 In most Asian countries, it’s the norm to take off one’s shoes inside one’s house. England, as many of you know, is not an Asian country. Japan, where Shinobu is from, is. 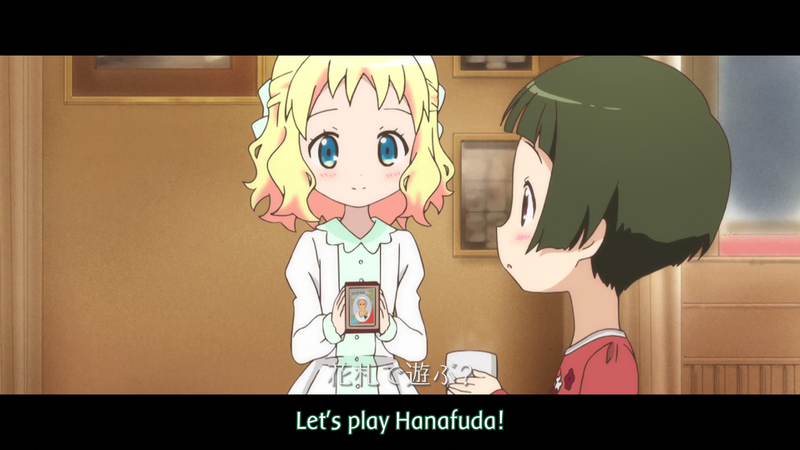 The obligatory question: the video source is AT-X, Tokyo MX or CR? 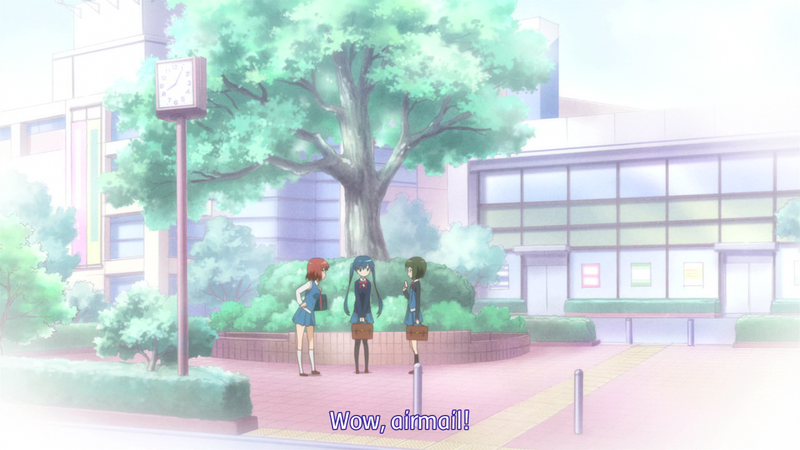 Tokyo MX didn’t even air it when we released – they’re airing it 2 days after AT-X. Future releases, AT-X as long as they don’t mess up the audio/video sync again. Thanks a lot for the release! Hope everyone’s okay. Not just physically, but an accident like that is a lot of trouble and stress, so. I’ll be following you guys for this one. Thanks for the work! 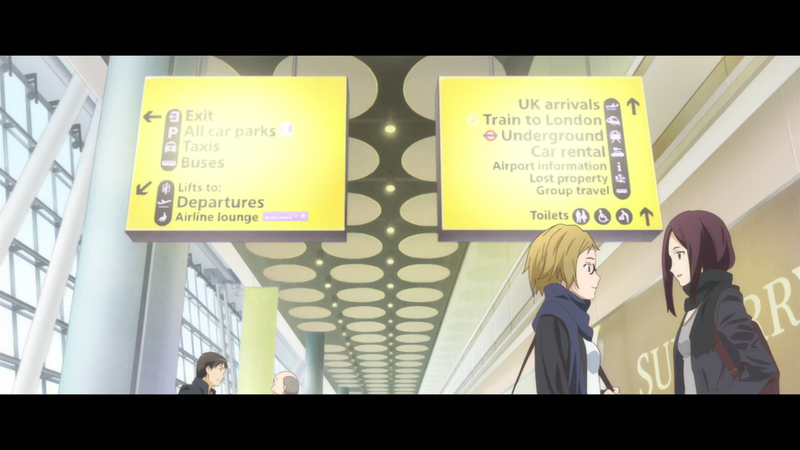 Haha, I though that they represented both urban and rural UK very well in the anime and manga to the point at which I knew which of the 3 main London airports shinobu originally arrived at for her home stay. Also, I get what you mean about the shoes but to be honest I’d say more than 50% of people who live in the UK do take there shoes off at the door and put them on a rack or in a cupboard…at least I do. *I heard about a few plane crashes this weekend with San Francisco being the main one straight after it happened, my uncle was on a plane just after and the one that crashed in San Francisco and there flight was temporarily diverted to vancouver. However after some fuel calculations they decided they’d turn around and try one more time to land in San Francisco otherwise they’d go to vancouver, their plane was first to land since the accident and they went right past it on the runway. I want translate your’ sub to my language. Is it possible for me to use your subtitle? Excellent release (and notes). But I do think you kinda derped with the line at 4:22. All the airport stuff was in English in the original video (they’re in England, after all), so you can blame that on the animation studio. 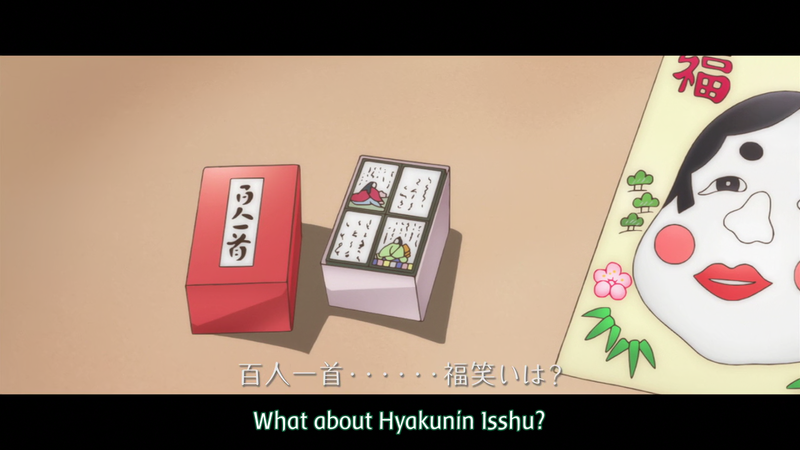 The subs for the English lines being completely different from what the characters were saying was too distracting for me. Went and downloaded a different release. Didn’t have any other issues. Okay, done with episode now. 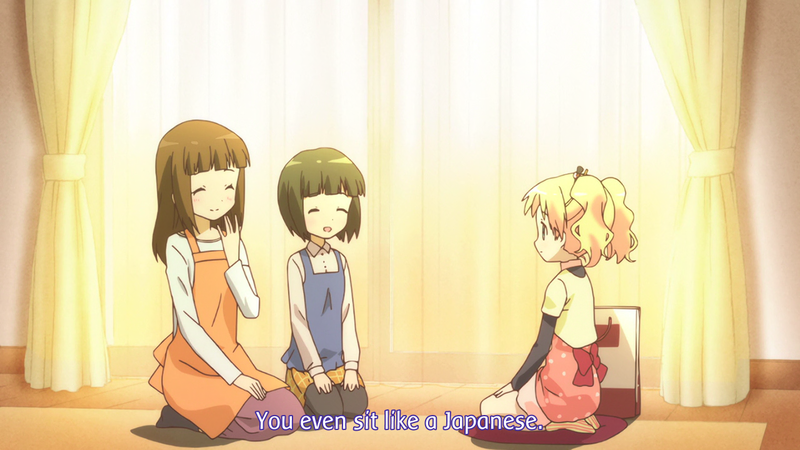 Assuming the show goes full Japanese with ep 2 I’ll stick with you guys.